With eight games remaining, the Championship relegation battle is set to go down to the wire. We currently have a four-way fight to beat the drop, which looks incredibly tense. We expect that battle to last through the run in. Of course, there should be plenty of twists and turns along the way. With the international break upon us, we’re looking towards the fight to avoid League One. We’ve already looked towards the top of the Championship and you can see our rundown at the top right here. Now we’re taking a glance at the betting odds at the bottom. With such an open relegation battle, we think there’s some value to be found in and around the bottom three. As it stands, we know two of the sides who are heading for League One already. Both Ipswich and Bolton have been linked with the drop since the very start of the season and there’s little chance of them avoiding it now. Ipswich are in last place, widely expected to go down as the bottom side in the division. They’ve fallen 13 points from safety with only 24 left to play for. They’re still in it mathematically, but they’ve averaged 0.63 points per game all season. Bolton are another side who are heading down to League One, with the club in a state of disarray. Off-field issues have hampered them all season, while they are eight points shy of 21st after struggling for form all season. If they keep picking up points at the same rate, then they are set to go down with 35 points, which is a point fewer than the side directly above them have picked up so far. The bookies are pretty certain of the pair going down. Ipswich have been backed into 1/1000 with BetVictor for the drop, while Bolton are a slightly more modest 1/100 with BetVictor to go down. However, outside of those two, the fight for survival is much more open. As things stand, Rotherham are the favourites to drop down into League One. Their first season back in the second tier has been tough, which has made them odds-on for the drop. The Millers can be backed at 4/6 with BetVictor for relegation. They had had major issues on the road this term, while last weekend brought a defeat at home to Norwich. Now they need to rally in order to stay up, but there are a few teams who Rotherham could drag into the bottom three. Reading sit just a point above Rotherham following their draw with Stoke at the weekend. However, the Royals are on the up in recent weeks. Their move to bring in Jose Gomes as manager has brought them some stability, which could help them move away from the bottom three in the remaining games of the campaign. They are obviously still relegation contenders, but we don’t think their price of 9/4 with BetVictor is temping. 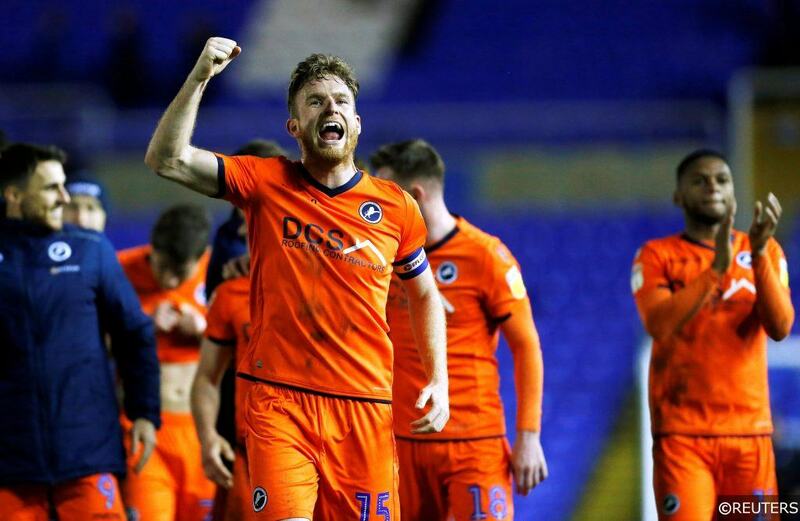 Level on points with Reading are Millwall, who have a game in hand. Their FA Cup quarter-final loss at the weekend means they’re focusing on the relegation battle. They’ll be hoping to edge away from the bottom three, with the bookies expecting them to stay up. They are sitting at 7/1 with Paddy Power to be relegated. Meanwhile, Wigan have been left only three points clear of the drop after winning at the weekend. They thrashed Bolton, claiming another home win. However, they are certainly not out of the running, despite being priced up at 10/1 with bet365 to be sent back down to League One this term. While the struggling sides need to improve their displays, their fixtures will play a key role in the survival fight. We’ll be covering each weekend’s clash in our Championship betting previews. Analysing their remaining games can tell us more about their chances of staying up. Of the four sides, Wigan’s remaining opponents have the lowest average points per game so far. Meanwhile, Millwall’s have the most. However, facing sides near the bottom is dangerous at this stage, midtable opposition is the order of the day. Millwall, Reading and Rotherham have all shown fight in recent weeks, while they each have opportunities to secure points. The Royals are much improved under their new boss, while Rotherham have a solid home record which could help them to stay up. Meanwhile, there’s a contender on the shadows who have some difficult clashes in the run-in. There are certainly some issues for Wigan in the coming weeks. 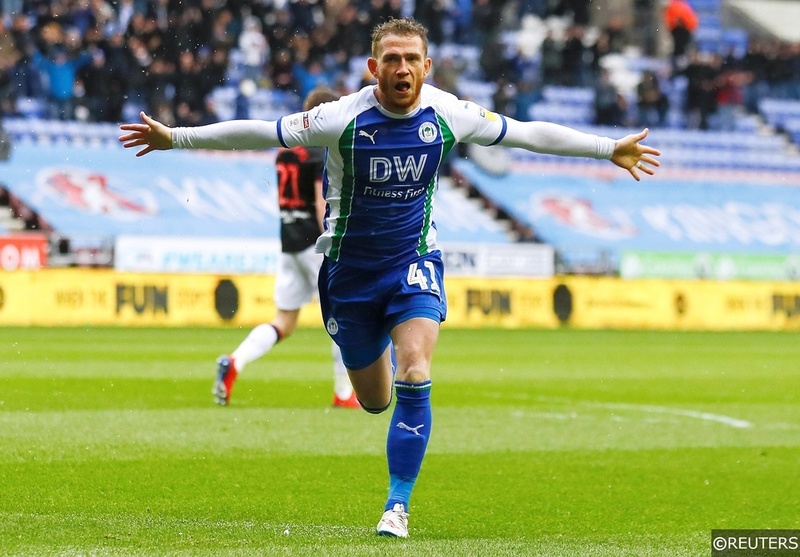 The Latics home record has been a strength, but they’ve claimed 85% of their points total at the DW. Having lost 79% of their trips, we have little faith in them on the road – with their remaining away trips all to sides who are or around the top half. At home, they meet leaders Norwich, then Preston – the league’s form side on the road. Clashes with Brentford and relegation rivals Millwall complete the set. We can see the Latics struggling throughout. If they lose their home form, then they’re all but done. Given the difficulty in their remaining games, Wigan seem like the value pick at 10/1 with bet365 to go down. There’s little between them and their rivals, so we think their price is far too big with trouble looming. Categories: Betting Odds, Blog, and Football. Tags: championship, championship competition, championship expected goals, Championship football, Championship relegation, championship season, and Championship tips. Team Tag: bolton, Ipswich, Millwall, reading, rotherham, and Wigan. League: England Championship. Sports: Football.